From Lester R. Brown, president of Washington-based Earth Policy Institute, centre and founder of Worldwatch Institute to India’s Bhavarlal Jain, whose life is dedicated to changing the way millions of small farmers across the world grow food and non- food crops, their one common message is: as the climate remains in a state of flux, water management — particularly in the farm sector — will require thorough re-engineering. 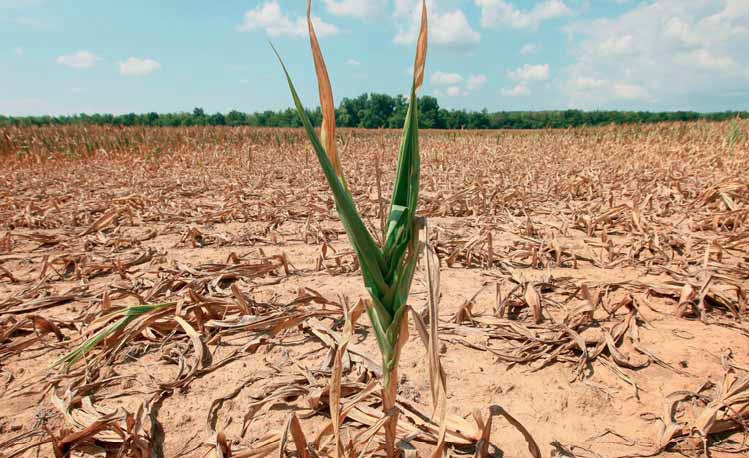 The fallout of global warming is extreme heat and drought, as was experienced by the US and some other food exporting countries in 2012, sending food prices close to record levels. And there are heavy rains and floods in many places, including China, India and Thailand from time to time, upsetting farm production. World food production fell short of consumption in as many as six of the past 12 years as the weather turned increasingly difficult for normal crop growing. Many countries were forced to run down their food inventories to bridge the gap between demand and supply. In the process, as a report says, food reserves are down to just above 70 days of consumption from a comfort-giving level of 107 days a decade ago. On a number of occasions in the new millennium, high food prices — resulting from crop failures — sparked riots in countries in West Asia, Africa and Latin America. That close to 900 million people out of a world population of around 7 billion go to bed hungry every night is a blot on human civilization. Brown and Jain will no doubt opine had not there been policy deficit on a global scale, damages caused to farming by climate change could have been largely mitigated. The challenge is to provide food for a world population which is forecast to grow to 8.3 billion by 2030 and further to 9.1 billion by 2050. To feed the extra mouths, satisfying minimum calorie requirements, food supply in the first instance will have to be up by 50% and then by 70%. This is a daunting task no doubt, but is not unachievable. Policymakers in the rich to the least-developed countries should have reasons to be terrified by a 2012 Oxfam report saying key staples prices are likely to double in the next 20 years. If this comes true, many more poor millions who are obliged to spend up to 80% of their income on food will go hungry. In any case, food inflation stares in the face of the world every time crops fail in major growing centres or political unrest like the continuing Ukrainian crisis causes grains export dislocation. Recent rises in world wheat prices are largely on account of supplies drying up from Ukraine and Russia. Expect the trade to rig up food prices in events of crop failures and supply dislocations due to political reasons.